Home / Benefit Cosmetics / Make-up / Skin Care / Toronto / . @BenefitCanada - Raised $3.4 million worldwide in 2016 to support "big dreams & bold moves"
. @BenefitCanada - Raised $3.4 million worldwide in 2016 to support "big dreams & bold moves"
Benefit Cosmetics raised $3.4 million worldwide in 2016 to support "big dreams & bold moves"
For the third consecutive year, the Bold Is Beautiful Project—a global philanthropic campaign launched by Benefit Cosmetics—has partnered with a growing network of international charities to instill confidence and life skills in women & girls around the world. Now, those who 'Benefitted'—quite literally—from participating in the program are boldly paying it forward: they have more confidence than ever, paying jobs, degrees and even volunteer for the charities that helped them. Thanks to Benefit Cosmetics' fundraising and media attention in 2016, 20 charities across the globe have received a fresh infusion of funds, resulting in new hires, stronger teams and an increased number of tools and workshops to spread greater good among women and girls. Those who have fallen down and lost their spark can get back up and soar—with great brows to boot! Since the Bold is Beautiful Project began in 2015, $6.3 million has been raised worldwide through brow wax campaigns at Benefit BrowBars and boutiques. Every single dollar of the proceeds has been donated to non-profits such as Habitat for Humanity, Girls Inc., Refuge, Look Good Feel Better, and others. "It's about more than makeup, it's about creating a foundation for a beautiful life and connecting women & girls to the resources and skills they need to succeed. We make them a little more invincible than they were when they walked in," says Annie Ford Danielson, Benefit's global beauty authority. In 2017, the Bold is Beautiful Project is going bigger and bolder. An epic 34 charity partners and 17 countries are teaming up to reach a $5 million goal. In Canada, 100% of brow wax proceeds in the month of May will be donated to Look Good Feel Better and Habitat for Humanity Canada's Women Build program. Customers can drop in or call any Benefit BrowBar in Sephora or Benefit Boutique in Toronto to book an appointment. Check out these inspiring testimonials from Bold is Beautiful participants – real women and girls who have benefitted from these two Canadian charity partners. Consider them living proof of why this project matters. Perhaps one of the most challenging things about a can­cer diagnosis is the loss of identity. A woman goes from being the mother, sister, daughter or wife to the cancer patient. Look Good Feel Better offers a workshop that gives Canadian women the tools and techniques to feel beautiful and vital. In so doing, the Foundation helps re­store a sense of self and renew a feeling of womanhood, however these women choose to define it. Habitat for Humanity's Women Build is part of a global campaign that brings women together in a shared mission to help families in need of a decent and affordable place to call home. Habitat's Women Build empowers women to take action against the housing crisis. It involves women building, investing and advocating for a world where everyone has a decent place to live. By bringing women together, from all walks of life, Habitat promotes spirit, empowerment, solidarity, fun, learning and pride – while working alongside future Habitat homeowners to build strength, stability and self-reliance through affordable homeownership. 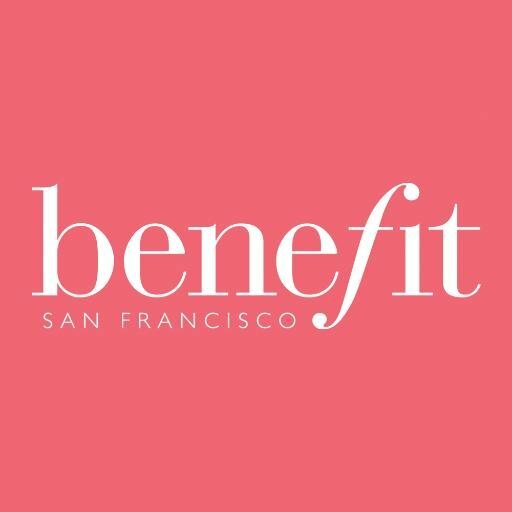 Benefit Cosmetics is the playful-spirited San Francisco based makeup brand that offers fun instant beauty solutions. Benefit delights women of all ages with one-of-a-kind products like Benetint, They're Real!, Porefessional and Hoola. With over 4968 counters and 2100 BrowBars in 47 countries, Benefit is one of the fastest growing prestige beauty brands in the business and a part of the world's leading luxury products group, Louis Vuitton Moet Hennessy.